Benjamin Forest is an Associate Professor at McGill University in the Department of Geography as well as an Associate Member of the Department of Political Science. 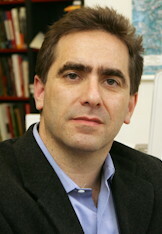 A specialist in the field of political geography, his work revolves around the theme of diversity and electoral reform. In addition to being part of a project studying monuments and memorials in the post-Soviet sphere, Professor Forest is currently heading a project on diversity in party structures and constituencies in Canada. He is also working on research exploring municipal LGBTQ policies. This project examines the relationship between political institutions, particularly parties and candidate diversity in Canadian municipal governments. Does context matter for issue and party preference? Using the MEDW 2015, I examine the impact of place of residence for people's party preferences and issue preferences within Ontario, Quebec and British Columbia. The Politics of Public Space: Regime Type and Public Memory in Post-Communist States, 1996-2008.